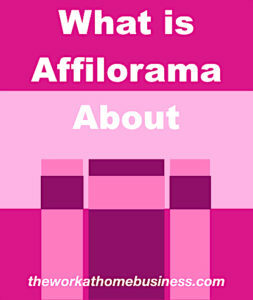 Wondering What is Affilorama About? My first interest in affiliate marketing started with Affilorama. Just searching on the internet, someone mentioned Affilorama in a post. My question at the time was: What is Affilorama About? Of course, I was curious, so I went into research mode. Following my research, I signed up for free membership. Not only to satisfy my curiosity, but also to start an online business. In this post, I share the answer to the question: What is Affilorama About? First of all, Affilorama teaches you how to do affiliate marketing to earn money online. Even though it is one of the top online training platforms in Affiliate Marketing, it is very pricey. To point out, there are other training platforms that are not as costly. More specifically, Affilorama teaches how you can promote other people’s products. That is to say, you become a sales person for those people. Whenever consumers make purchases through your promotion, each company pays you a commission. Important to realize that how much you can earn depends a lot on the niche that you choose. Key point is that there must be a demand for the products. Chiefly, products that can help consumers with a problem. Learning with Affilorama helps you to create a website and monetize it. For this reason, the training teaches about the use of affiliate links. Likewise the use of Pay Per Click (PPC). From creating content to ranking with the search engines, you will not be cut short on information. Markedly, they offer free unlimited access to their platform with more than 100 lessons. Notably, these lessons are in the form of videos along with notes. Not only is the training for newbies, but also affiliate experts who probably need an extra push to get over any hurdles in their path for success. In general, the lessons focus on 8 key areas. Each category has several short video lessons and there are notes to go along with them. Here are the different areas with examples of a few lessons. Inasmuch as you would like to do all the work for your online business, sometimes you may have to consider getting outside help. Thus, Affilorama introduces you to outsourcing and some tips to start. Of course a free online opportunity to build a business is a good way to see if what they offer is the ideal for you. However, getting anything free has limits. Moreover, Affilorama does not offer you the opportunity to create your website for free. Hence, that hands on experience to create as you learn with them is lacking. Point in fact is that you have to make some purchases to start building your business. 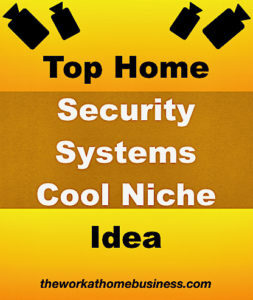 For instance, you’ll need a domain and hosting for your website. Writer’s Note: Assuredly, you can get the hands on experience to build your website as you learn with Wealthy Affiliate. Truly, you can try this out without purchasing a domain and paying for hosting. Significantly, a premium upgrade with Affilorama comes with up sells that are costly. Needless to say that the premium offers a more detailed training. Keep in mind that as a free member, you certainly do not get enough to pursue a successful online business. For sure, you merely get your feet wet to start. Let’s take a look at the differences here. Notwithstanding the limitations as a free member, you can still learn about Affiliate Marketing. But if you want to take your business to a higher level, getting further training is ideal. Rest assured that Path2Passive provides new methods that work in today’s affiliate marketing. Whether you are new to affiliate marketing or an expert this tool can help you. Although affiliate marketing can be a rewarding business, it is important to follow a guideline for your success to become a reality. Indeed, Affilorama’s design of Path2Passive can help with that. Most important is that it provides a plan of action. Best of all, Path2Passive is a time saver. Not to mention that it can help if things get too overwhelming for you to bear. Key point is that Path2Passive can help to prevent the mistakes that newbie affiliates tend to make. Coupled with Path2Passive and AffiloTools, there is AffiloJetpack which has 4 components. Each component has everything ready for you to use. No doubt, the whole purpose is to fast-forward your path for a successful online business. So if you don’t want to take the time to discover what’s in those training videos, then you can get in on AffiloJetpack. Point in fact is that you can get up to 80% of the work off your hands. And this comes at a hefty price of $497. Surprisingly, that’s not all. There is more with a higher cost to it (see the last bullet point). Here’s what you get with AffiloJetpack. Email newsletter for a year: That’s a total of 90 with 500 words each. Building time: Depending on extra help to write your content, it can take anywhere from 6 hours to 6 days. On the negative side, here are several caveats to be mindful of. AffiloTools: Most if not all of these tools are free on the internet. Take for instance: Google Analytics, Facebook, Twitter, keyword tool. Seeing that anything in technology and the internet changes ever so often, they could do an update on some information. Needless to say that you are paying for information that does not apply to modern day websites. Specifically, this applies to Private Label Rights (PLRs) as the use of duplicate content. Though Affilorama makes these available on their platform, they do have a warning about using them. One thing to note is that Google does not like duplicate content, so it is bad for your website. Given that many website owners use the same PLRs, it’s best to write your own unique content. Even though you have access to free support as a premium member, the response time is not very quick. For one thing, you may have to wait a couple hours or even longer. Neither is support live. Undoubtedly, up sells can be annoying. With Affilorama, there are a few up sells you can do without. Basically, it is just to get you to spend more money. Think carefully because you don’t want to put your money into something that you are not sure will turn over returns. Certainly, it’s better to stay far from them if you don’t want to spend all that money. Another point to keep in mind is that free membership does not last forever. And you can only do so much training within the time frame. All the free videos and along with notes are like a “face card” to get you to go premium. No doubt, there is a lot of free information. But in reality, some people may not find it that easy to watch and read everything within a short time. Regardless of the enticing free offer, it might not take you to the point where you’d like to be with an online business. Considering how fast things change in the internet world, Affilorama lags behind with ongoing live training. Truly, newbies would welcome frequent updates. Overall, to get the true picture, it’s best to try the training. That way, you’ll discover more about Affilorama. Even if the total cost does not fit your budget, you can try it out for free and sign up here. Despite the fact that this post focuses on What is Affilorama About, I have to let you know that there is a cheaper alternative. After checking out Affilorama, I joined Wealthy Affiliate. Comparing it with Affilorama and others, I think it is ahead of the pack. Albeit, if you do not want to pay so much for an online training package, you could definitely try Wealthy Affiliate. Undoubtedly, this training platform is far cheaper and offers you more for so much less.